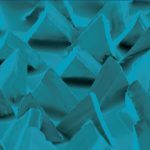 The manufacturing environment can be a fairly noisy place, and these sounds can both cause and signal problems. 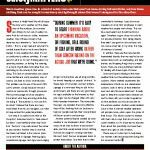 This feature provides a greater understanding of the issue. In the early 1970s the Occupational Safety and Health Act (OSHA) generated more awareness, concern, and a need to control industrial noise (sound levels). 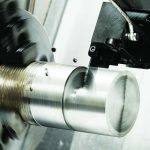 This in turn created a need to advance technical knowledge on industrial product sound generation and to set sound standards on all types of equipment. However, the complexity of the subject made most sound standards difficult to apply or interpret properly. 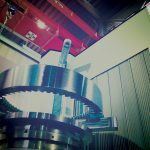 Therefore, some of the major gear manufacturers developed literature to disseminate knowledge to their product users on acoustical measurements, level control, and sound attenuation for gear driven equipment. 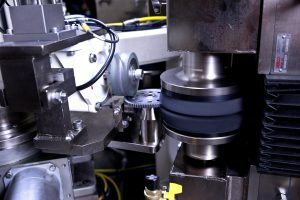 Also at this time, the AGMA Acoustical Technology Committee was formed to standardize methods for sound measurement and geared product acceptance testing. It also developed a Gear Sound Manual to provide improved communication between project engineers, gear manufacturers, and users in the areas of Fundamentals of Sound as Related to Gears (Part I), Sources, Specifications and Levels of Gear Sound (Part II), and Gear Noise Control (Part III). 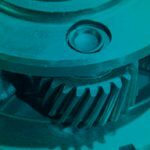 The work of two gear engineers—Bill Bradley at Philadelphia Gear Corporation and Richard Schunck at the Falk Corporation—formed a majority of the information that went into this AGMA Gear Sound Manual that was first published in 1978. The information was originally issued as three separate documents. In 1987 the information was combined and published as one document. 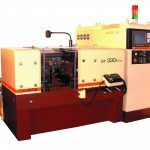 The latest version of this AGMA Information Sheet was updated between 2002 and 2004 and published as AGMA 914-B04. It contains additional references and information such as typical levels generated and analysis methods for those who wish more on the subject. 1) Basic introduction to noise, its measurement, and characteristics of instrumentation. 2) The affects of environment and system characteristics on generated noise. 3) Noise tolerance of personnel and equipment with present regulations and controls. 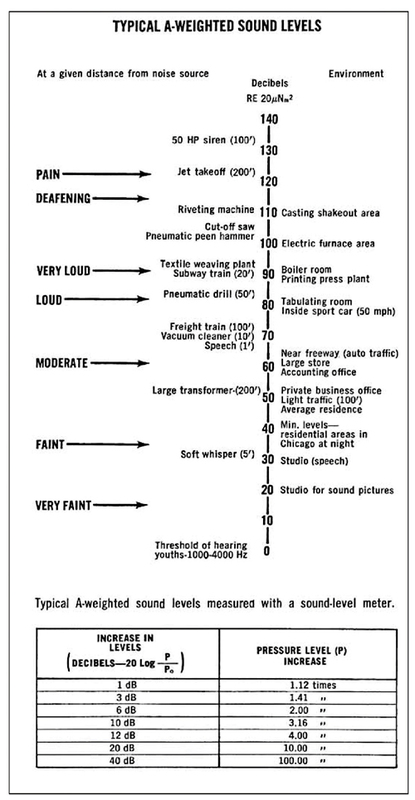 4) What sound levels can be expected during spin test, load test, and field operation. 5) Methods of lowering generated sound levels, design absorptions, shielding, etc. Just about everything a person does involves motion. 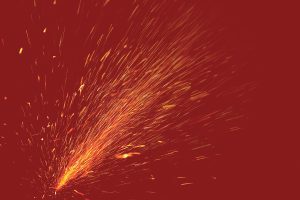 This motion produces “sound.” When machines are built to improve man’s abilities, the situation becomes worse, because machines are usually noisier than people. In fact, the situation had become so bad that on May 17, 1969, the occupational noise-exposure regulation of the U.S. Department of Labor went into effect (Walsh-Healey Act) to protect employees from hearing damage. Then the Occupational Safety and Health Act of 1970 (84-Stat. 1950) took the same noise regulations and extended them to cover over 55 million workers in any business engaged in interstate commerce. Section I: Noise — What is It? The word noise implies a loud, harsh, undesired, confused, or nonharmonious sound. Because we know most of our products generate harmonious sounds, we will refrain from using that word and talk in terms of generated sound levels. “Sound is a disturbance that propagates through an elastic material at a speed characteristic of the medium.” But, this is a very cumbersome definition, so we will talk of sound as incremental changes in air pressure (vibration of air molecules). P0 is the reference pressure taken as the threshold of hearing 20µN/m2 (International Standard). 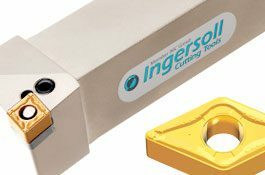 Example: The sound pressure near a punch press is measured as being 0.0025 psi. What is the sound pressure re 20µN/m2 in dB (0.0025 psi = 17.225 N/m2)? So we would commonly say the “noise” of the punch press is 119 dB. If one does not like to use such formulas, then Figure 1 gives a table of common sound levels and some simple ratios in terms of decibels (dB). Like our ears, we can use a pressure sensitive instrument called a sound level meter to measure the intensity of sound. Sound level meters commonly have a broadband frequency response (2Hz to 40 KHz) and high dynamic range (10 dB to 140 dB). However, microphones used with these meters are often limited in range and sensitivity (a standard 1” microphone normally has a frequency range flat from 20Hz to 12 KHz and sensitivity of 40 dB to 14dB). Also, like the human ear, a sound level meter can be fooled and indicate the wrong level and frequency. The sound level meter with the wrong microphone or in the presence of wind, electro-magnetic fields, etc., may also indicate false readings of sound pressure level. Therefore, it is very important that the person operating a sound level meter be qualified, knowing the characteristics of his instrument system and the electro-acoustical characteristics of the area in which he is measuring. It was mentioned that the frequency response of the human ear is not as good as a sound level meter. 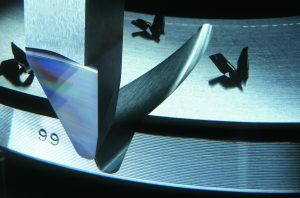 Therefore, various weighting networks (filters) have been established so that the objective meter measurement will come closer to indicating what the ear hears. Figure 2shows the attenuation of the “A,” “B,” and “C” weighting scales of a sound level meter. The “A” scale is a filtering system that roughly matches the human ear’s response at sound levels below 55 dB. The “B” scale roughly matches the ear at levels between 55 dB and 85 dB, and the “C” scale is to match above 85 dB. However, the “A” scale (sound pressure level measured in dB “A”) has received prominence due to its use by OSHA, for measuring levels up to 115 dB. 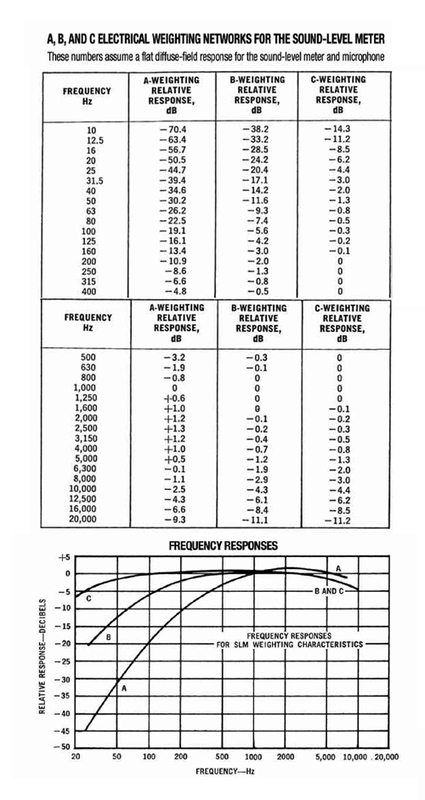 It is interesting to note the tremendous attenuation the “A” scale exhibits on low frequencies. At about 95 HZ, for example, there is about a 20 dB attenuation (only 1/10 of the actual sound level is indicated on the meter). Therefore, machinery generating low frequency sounds are more likely to pass a dB “A” specification, and be less annoying to the ear. Another filtering system often used in the measurement of sound is the octave and 1/3-octave bands. These are discrete filters which only register a limited range of frequencies. The octave and 1/3-octave bands are used more for analytical work and are usually specified by their center frequencies (see Figure 3). The 63 Hz octave band to the 8,000 Hz octave band are most commonly used in industry specifications. A narrow band filter (spectrum analyzer) is similar to octave band filters; however, each band is greatly reduced in width to allow better resolution of component frequencies in a noise spectrum. There is one other characteristic of sound which should be covered in this section; that is, how to add the sound level generated from two separate sources. Any school student will tell you that (82 + 88 = 89) is an invalid equation. However, if we state that in the same environment 82 dB + 88 dB =89 dB, we would be correct. 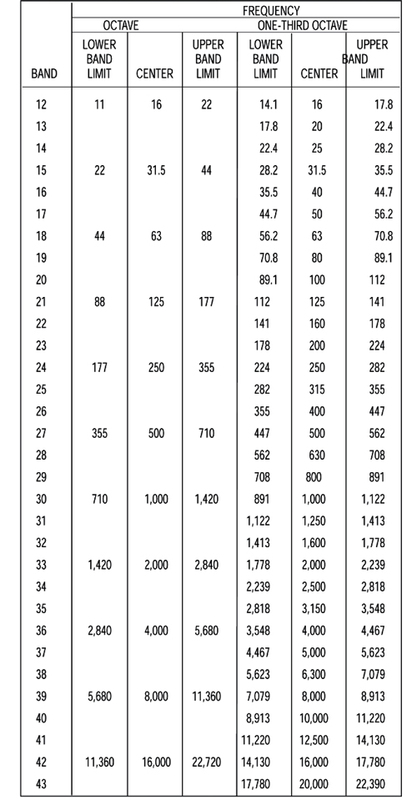 Figure 4 shows a chart which can be used to assist in adding and subtracting sound pressure levels stated in dB units of measure. Consider a theoretical example: There are four gear motors generating equal amounts of sound energy (power). Together they produce a level of 94 dB “A.” To cut the noise by 3 dB to 91 dB “A” two of the gear motors would have to be turned off. 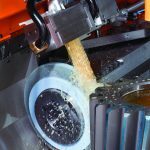 To be below the OSHA limit of 90 dB “A,” a third gear motor would have to be shut down, resulting in a level for one gear motor of about 88 dB “A.” In a real situation, one might not be able shut down equipment on a production line, so improved quality and enclosures might have to be used. The important point of this example is understanding the magnitude of the sound energy reduction required to achieve a 3 dB reduction in sound pressure level. Anyone who has held a conversation in a completely empty room and compared it with a similar conversation in a room filled with heavy cushioned furniture, carpet, and draperies has a subjective feeling on the effect of sound in various environments. ANSI Standard S12.31-1990 (R-2001) gives four definitions for environments in determining the sound power (energy) of sound sources. These four environments are described as a free field, free field above a reflecting plane, a diffused field, and a semi-reverberant field. However, to describe what is meant by these fields, it is necessary to introduce the concept of sound power level. The sound power of a source is the total sound energy radiated by the source per unit of time. The level of sound power (Lw), like sound pressure, is expressed in terms of decibels. It is extremely important to recognize the difference between sound power level (Lw) and sound pressure level (Lp). Sound power is the energy at the source. The sound pressure is the fluctuation of air pressure at the point of measurement. The sound power of a source is independent of the environment. Whereas, the sound pressure measured near a source is highly dependent on environment. The paradox is that we must measure sound pressure to calculate sound power (sound power cannot be measured directly). A “free field” environment around a sound source can be thought of as being like a fan running on top of a tall flag pole in the middle of 1,000 flat acres of open land. In a free field, all the sound is radiated away from the source and the pressure waves lose their strength as they dissipate into the surrounding air (6 dB drop for double the distance). The further away from the source, the lower the measured sound pressure level. The opposite of a free field is a reverberation chamber (diffused field) with a source placed in the center of the empty room with hard skewed walls, floor, and ceiling. Almost all of the sound from the source will be reflected around the room and back at the source so that the sound pressure level measurements at any point in the room are about the same. It is quite obvious that practical industrial equipment environments are neither free field nor diffused field, but rather some form of semi-reverberant field. In a semi-reverberant field depending on room size, reflecting objects, absorption and other acoustical conditions, the reduction in dB from five feet away to 10 feet away from the source could be less than 1 dB or as great as 6 dB. The point of this discussion, as mentioned, is that a dB sound pressure measurement is highly influenced by its acoustical environment. • What is the major noise source; turbine, gear unit, compressor, piping, or structure? • How much of the noise is traveling through the support structures and radiating at some point other than its source? • Is the gear unit mesh frequency exciting a natural resonance in the sheet metal cover of the turbine or the piping, etc.? 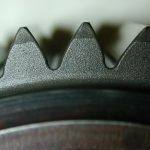 • Is a blade pass frequency exciting a natural resonance of the bull gear web or the gear housing? • What are the sound levels at different loads or speeds? This list could be continued at great length; however, one can see that there are many different influences when trying to determine the sound level of a gear unit in the middle of a power transmission system. The exact same gear unit may generate completely different sound levels in two different systems. Therefore, if an “accurate” sound power level can be established for a source, it is the only method for rating the source independent of environment. If a dB “A,” octave band, narrow band, etc., sound pressure level is used as a criterion, it must be remembered that the environment and mounting will influence the results. • The level that is normal or satisfactory for the type of equipment or application. • The level that is acceptable or safe for people who must hear without damage in the area of the operating equipment. Both of these areas of concern are difficult for accurate evaluation because of the lack of information on sound power levels of all sources, characteristics of all environments, and because human sensitivity to noise varies. Therefore, general or normal guidelines have been established as acceptance criteria. Satisfactory equipment sound level specifications are normally stated in terms of acceptable octave band levels for eight principal bands. 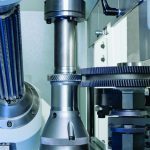 AGMA Standard 6025-D98 “Sound for Enclosed Helical, Herringbone and Spiral Bevel Gear Drives” is the current industry standard. 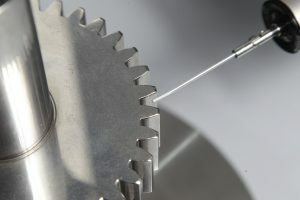 This standard describes the instrumentation, measuring methods and test procedures necessary for the determination of a gear unit’s sound pressure levels for acceptance testing. 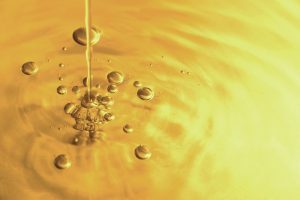 It must be recognized, therefore, that a specification level has to be pointed toward a specific environment whether it be a test stand or a field measurement. We normally want to use the test stand, at the point of manufacture, as the acceptable environment. It is reasoned that the semi-reverberant field of a test stand is similar to many installation environments and therefore, within limits, the sound pressure levels will be similar. Trying to comply with specifications that are pointed toward hearing conservation (OSHA, state, and local ordinances) presents a different situation. 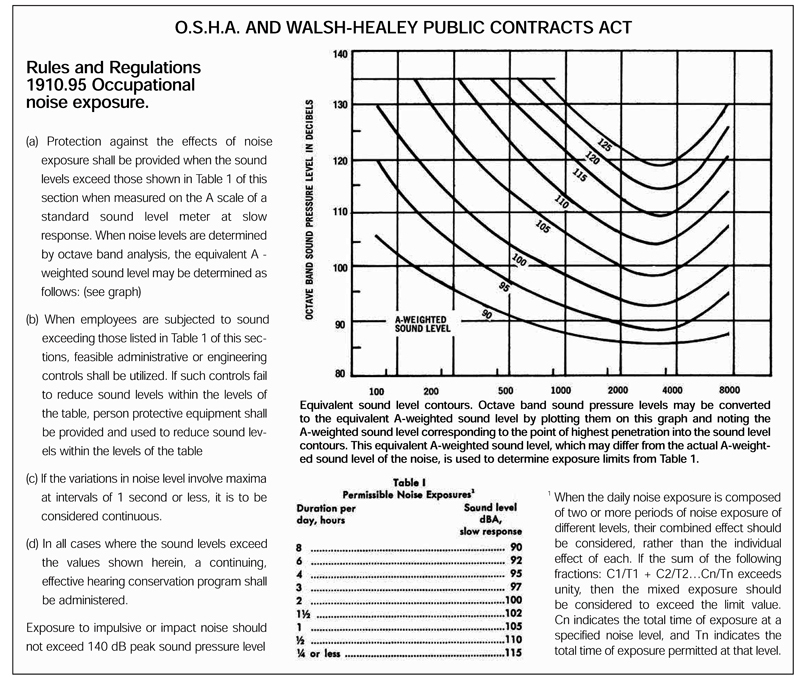 To meet OSHA requirements (Figure 5) one must know the position of the people exposed to the generated sound and the duration of the exposures. 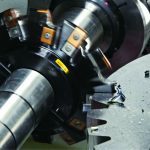 Presently, if an operator of a rolling mill has to stand near a gear unit generating 98 dB “A” at five feet for only two hours out of every day, the area meets the environmental requirements of OSHA. However, the same installation would not meet OSHA requirements if the operator had to stay in the area of 98 dB “A” for the three hours or more each day. 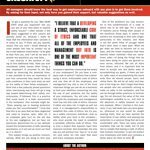 It must be emphasized that a manufacturer cannot supply equipment to meet an OSHA dB “A” rating if the position of the operator or exposure time is unknown. It therefore becomes more realistic for the user to specify permissible sound levels in terms of octave band measurements at a specified distance, or overall dB “A” level at a specific location and environment. Another highly important consideration is that most environments contain more than one noise source. Therefore, we must sum their amplitude, as stated earlier. This means when supplying individual components in a system, each must be significantly below 90 dB “A” if the whole system is to be below 90 dB “A” at a specific position. Noise not only may impair hearing, it has been known to increase blood pressure, heart rate, gastrointestinal tract responses, and cause bad psychological effects. The loudness of a sound depends on its frequency, and there are different scales used to determine “relative” loudness. Noise does not have to be loud to be annoying. The sounds of a dripping faucet, chalk squeaking on a blackboard, or a high pitch gear mesh frequency are examples. Impact noises about 45 dB “A” will generally awaken people asleep at night, no matter how innocent it may look on a sound level meter. Generally broadband “steady-state” noises (hum) are less annoying than an intermittent noise (beats), pure tone (whine), or impulsive noise (impact). 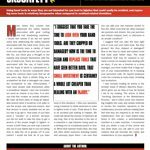 Harmful steady-state noise may be overlooked, whereas quiet beats may be subject to scrutiny. Therefore, even if a gear unit meets a specified sound level it can be annoying and become a subject of complaint. Philadelphia Gear has had years of experience measuring sound, both on the test stand and in field installations. This experience has given us the ability to know the approximate levels that may be expected on qualification spin or load tests, and in field service. For a particular application, knowing the gear unit size, type, operating speeds, load, and system, the expected sound level may be given within a range of a few dB. This sound level can be obtained from test results of identical or comparable units and/or empirical data extrapolated from similar equipment. The levels will not include driving or driven equipment noise and system influences. Due to variances from system to system and environmental differences these values generally cannot be guaranteed. However, the values will be found to be accurate within the limits imposed by differences in environments, measurement techniques, and interpretation. If the frequency components of the overall sound generated by gear units are reviewed in general there will be many similarities. The most common frequencies will be the rotational speeds, their multiples, tooth mesh frequency, windage, bearings, and natural resonances. Figure 6 reveals some of these common sources of airborne and structure borne sounds generated in gears. It is interesting to note that the majority of bearing noises, natural resonances. 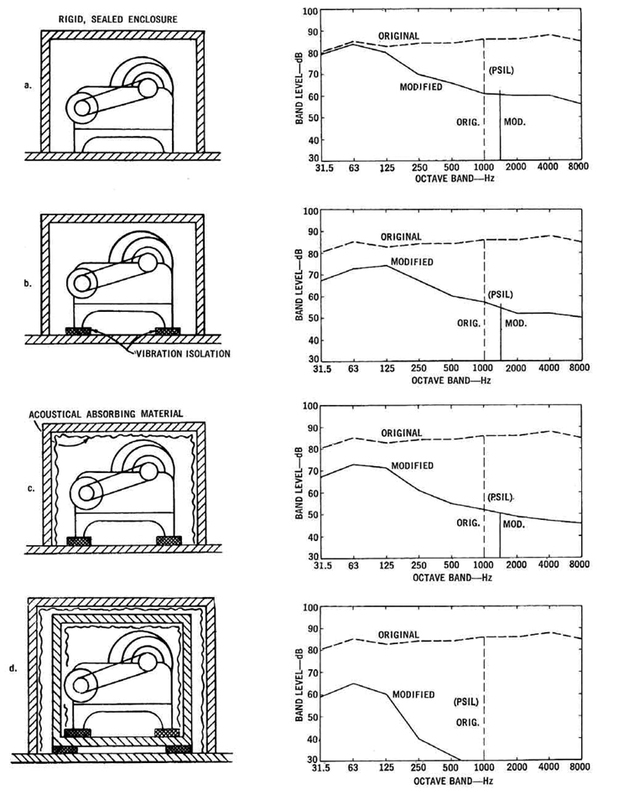 (Figure 6) Critical speeds of moderate and high speed industrial gear units are in the 500 to 8,000 Hz octave bands where the ear is most sensitive. This in itself is not a problem. However, when noise problems do exist, and levels must be lowered, the task becomes a little more difficult. Generally absorbing or isolation of sound from sources is the most economical means of lowering sound levels (see Figure 7-7a ). Because some generated sounds are machine characteristics, no amount of redesign or improved quality will eliminate these sounds. However, from an operation standpoint, when possible the most desirable method of lowering sound levels is by design or quality improvements. 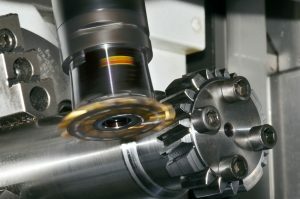 Improved sound or vibration levels achieved from “smoother” operation will also tend toward lower dynamic loads and improve the durability life of the gears, bearings, and couplings. • What specification(s) are applicable, and what required levels must be achieved? • Does the standard or normal unit of the type being considered meet the requirements? • What improvement and costs are involved when a design change or improved quality is specified? • What costs are involved if enclosures, isolations, or absorbing materials are used? is a staff engineer with Rexnord Industries, LLC [www.rexnord.com]. 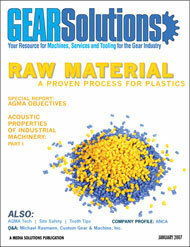 vice president of engineering at Philadelphia Gear, and Sudhakar Rao, gear analyst compiled this material,. Go online to [www.philagear.com].